On Thursday, Nov. 8, 2018, The Blast reported that the "Jealous" singer and the Quantico star had visited the Beverly Hills Courthouse a week earlier. There, the two lovebirds allegedly filled out paperwork so that they could obtain a marriage license. According to the gossip rag, Jonas and Chopra will be taking the license with them to India in December 2018, where they will reportedly get married. They'll then file the marriage license in the United States, so that their union will be recognized in both American and India. 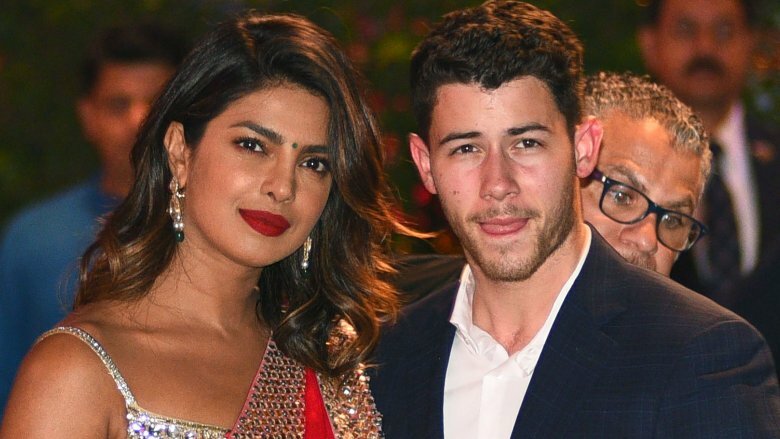 Jonas and Chopra, who have a 10-year age difference between them, got engaged in July 2018. An insider told People that Jonas had closed down a Tiffany's & Co. store to pick out an engagement ring for his love. 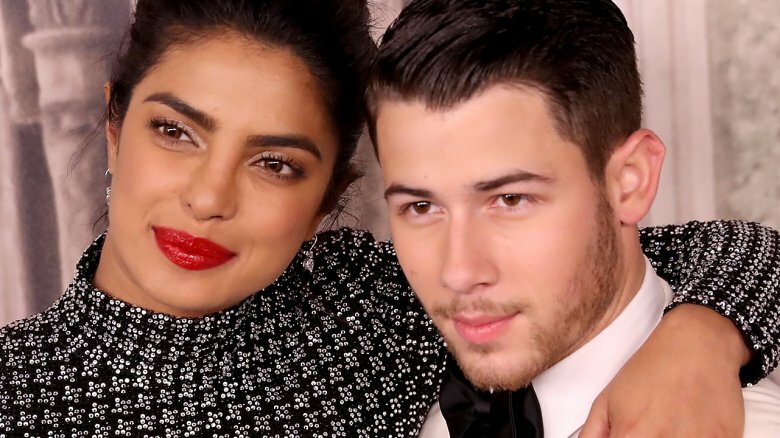 While neither Jonas nor Chopra have announced an official wedding date to the public, it would seem that they're both getting ready to exchange vows, as they've partied at a number of pre-wedding events in recent weeks. On Oct. 28, Chopra enjoyed a bridal shower thrown by two of her friends at the Tiffany & Co. Blue Box Cafe in New York City. According to People, guests included not only Chopra and Jonas' families but also the likes of actress Lupita Nyong'o and TV host Kelly Ripa. Unfortunately, Jonas couldn't attend the big event, as he was traveling. Over the weekend of Nov. 3, Chopra embarked on a fun-filled bachelorette party trip to Amsterdam with many of her close female friends and family members, including Game of Thrones star Sophie Turner, who is engaged to Jonas' brother Joe (via E! News). While Turner got engaged to Joe Jonas back in October 2017, a source revealed that it's possible that Nick Jonas may actually tie the knot before his brother. "Even though Joe's been engaged longer, it wouldn't be surprising if Nick got married first," the insider told People in early October 2018. "They're not really competitive in terms of who's going to get hitched first."